Seth Feroce, an IFBB Pro Bodybuilder, was recently asked by a reader of Muscular Development when is the right time of the day to consume the healthy fats? He replied that it usually depends on the type of workout you do and on your general state of mind and body. He says that he prefers to eat most of his fats before the workout. This is because he trains in the afternoon and this kind of meal helps him reduce hunger throughout the entire day. When he is on the bulking phase, the time of the year when he gains muscle and body mass, he increases the healthy fats to 40-60 grams/day. If you are training in the evening, then you should have three meals before the workout and one meal after, and add some extra fats to the first meals of the day. This way you consume most of the fats before the workout and only a smaller quantity after, just to help you recover. 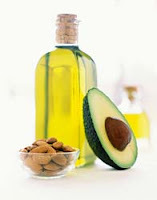 As for the sources of healthy fats, Seth likes olive oil, natural peanut butter and whole eggs with Omega 3. He usually adds the olive oil to the chicken and rice, he eats the peanut butter straight from the jar and consumes the eggs on the first and the last meal of the day. To conclude and to make things more simple just eat the healthy fats on the first meal of the day, on the pre-workout meal and on the last meal of the day!